Well. I'm engaged! Hahaha. I can't believe that it's been more than two months since Fazwan put a ring on my finger! Other than the fact that I'm still getting used to calling him my fiancé *barfs* I think the difference between being engaged and not being engaged, is the ring (obviously) and the amount of responsibility that suddenly piles up on your shoulders. I'm referring to planning the wedding and applying for a house, obviously. I honestly didn't think that it wouldn't be any different - being engaged and not being engaged - but it's crazy how many things there are to (suddenly) take into consideration now that you're in a "more serious" relationship. Not that our relationship wasn't serious before, but it's just that, putting a ring on it makes it all the more legit - if that even makes sense to you guys? I don't know. I'm just that your priorities will start to shift once you take this step forward. Anyway this is going to be a super detailed and personal post. I'm no preacher or professional when it comes to culture / traditions / customs but I speak and share from my own experience. So if you're about to plan for your own engagement day, I honestly hope that this post will be of some help to you. And if you're looking to the post where I talk about the actual engagement day, that will be published tomorrow. Here goes! Before I begin, I think I need to clarify this - because most of my non-muslim friends are pretty confused. Some of them thought that Fazwan and I got married, they even started congratulating us for "the marriage" at work! Hahaha. Well I don't blame them because in most of the other cultures, an engagement simply means that the guy has proposed and the wedding planning is in progress, then the wedding will come by a few weeks later. For the Malay engagement process, a proposal isn't even necessary. I'm not even kidding. I'm referring to the westernised proposal where the man surprises the girl in an unexpected moment, goes down on one knee and pops the question. Well, I'm sure every girl has dreamt of that and I always wanted to get proposed in the mountains but Fazwan told me straightforwardly - he's gonna do it the traditional style. In our culture, instead of a surprise proposal (eg. going down on one knee), the family of the groom-to-be comes to meet the bride's family and asks for her hand in marriage. I believe this process is called the "merisik" and that is where they will arrange whether to get the couple engaged first (read: tunang) or move directly to a wedding (read: nikah and sanding). Some (like us) did the merisik + tunang on the same day. So his family asked for my hand in marriage on behalf of him, and then proceeded with the actual engagement itself - all on the same day. It's more about earning respect and blessings from the elderly / the family rather than a proposal. So basically, the engagement (tunang) is an agreement between two families, like to "reserve" or in singlish terms, "chope" the girl before they move on to the actual wedding. There is no written contract whatsoever, but more of a verbal agreement between two families. During the engagement day is where both families will exchange gifts, and then the spokesperson of the family (usually the father or the elder male of the family) will discuss and agree on the wedding details, and terms & conditions, if any. For example, the time and place of the wedding, the dowry amount, the number of gift trays to be exchanged, etc. What we did was to actually create a PDF file with all of the details and send them to our spokespeople - in this case, both our eldest uncles. During the discussion, we had our two good friends to sit in and be the witnesses, just to make sure that these two pakcik agree on the correct details. Hahaha. This is because the bride-to-be will be waiting in her room and the groom-to-be isn't required to come at all - but Fazwan being Fazwan, he sat at the corridor of my house and eavesdrop. Hahaha. A ring isn't obligatory, but both of us wanted our own so that's what we got. 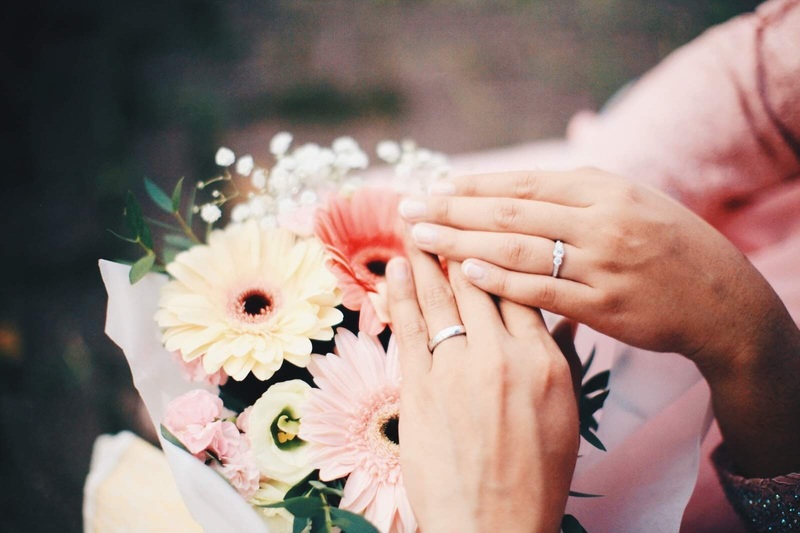 After the discussion, the mother of the groom will put the ring on the bride's finger as a form of confirmation that the future bride accepts her son. 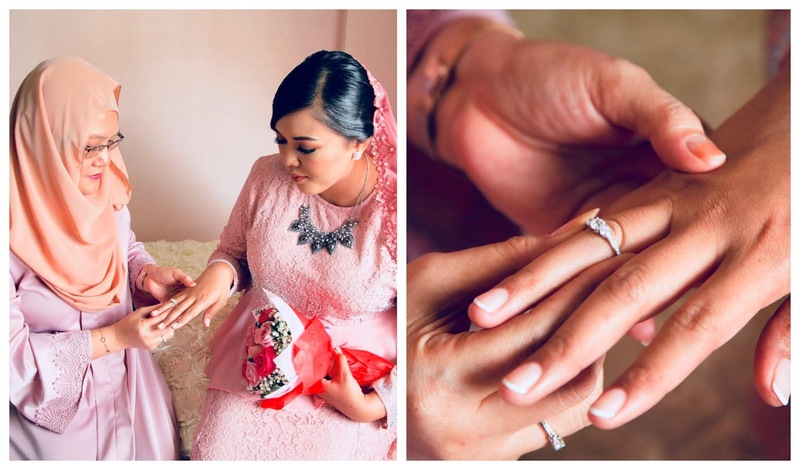 If you watch Malay TV series, there have been instances where the bride was forced into an engagement hahahaha so dramatic but I'm guessing it has happened before. To put it in a metaphor - the engagement is basically your prelims before the big exam and if you're not mentally / physically / financially / emotionally ready - you've got some serious thinking and considerations to do. I think this was what stresses me out on most days because growing up, I admit, I can be quite a commitment phobic. But I figured, once you find someone you want to be with for the rest of your life, dropping every fear is worth the risk... Okay before I get way too deep and way ahead of myself, let's move on to the rest of the post. 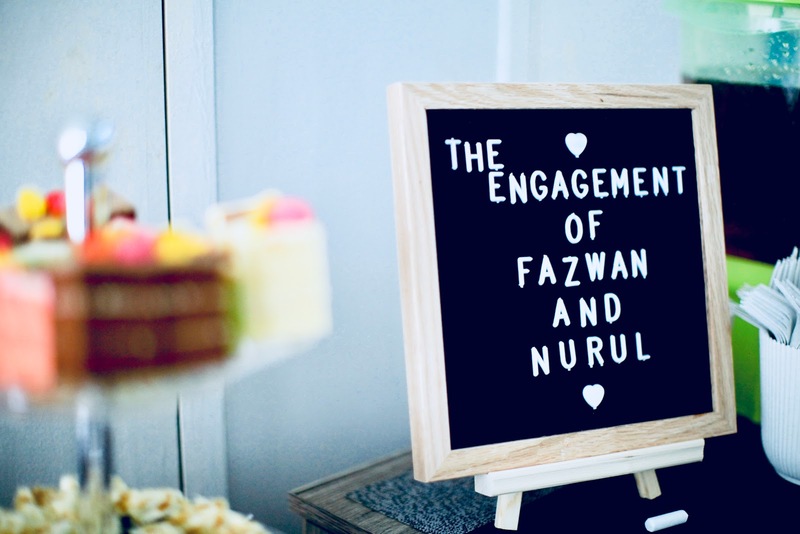 We'll save the full story of how we met and how we got together for the wedding (hehe) - but after seven years of being acquaintances and then one year of dating, Fazwan and I knew that we wanted to take our relationship to another level. Of course, we love each other (duh) but the thing that triggered us to speed things up was when we realised that we needed to have a house of our own. We didn't want a resale house and since a BTO flat in Singapore would take approximately three to five years to build, it makes more sense since it gave us time to save up comfortably. Coincidentally, at that point of time, there was a release of BTO houses at the estate / location of our choice - so we (only the two of us) actually applied for a flat without telling anyone. We both have stable jobs and it only costs you $10 to send in the application so we thought - why the hell not? Hahaha. We didn't wanna waste anymore time so we (only the two of us, again) actually fixed a date for our engagement as well as the wedding. After that, I told my mother that I'm serious about Fazwan and she was like, "Finally". Hahaha. Well, he has always been loved by my family members so it wasn't that hard for me to get my mum and grandparents to approve of him. As I mentioned earlier, in the Malay culture you need to "merisik" and it might be done differently for different families - but for us, Fazwan fixed a date to meet my mum and asked for her blessings over dinner at Orchid Country Club. She acted all interrogative and serious (which was so unlike her hahaha) but gave her approval right away. Her biggest concern for us was finances because we both like to spend money on travelling, as well as whether or not Fazwan can handle me. Hahahaha. To be honest, I think my mother wants us to get married as soon as possible because she's so worried that I will turn out to be an anak dara tua. Hahahaha. Nonetheless, my ideal age to get married has always been 27 and after I get my degree, so this step never felt more right and came at the perfect timing. Everything just seemed to fall into place. Alhamdulillah. One thing I remember was that, right after we broke the news of the engagement to our loved ones, suddenly everyone had an opinion about something - the elderly especially. I think this is fairly normal especially if you come from a huge family (or if your family's just very Malay hahaha) but my type A personality did not handle this pressure well at first, because it was so hard trying to keep everyone's recommendation in my head / trying to please so many people at once is excruciatingly stressful / I wanted to do everything my way / the more they said something, the more I wanted to shut them out. There were so many things to consider and at many moments during the 4 months of preparation, we felt overwhelmed - or rather, I felt overwhelmed and Fazwan was always the calm and collected one, assuring me that everything's going to be fine / reminding me that the stress wasn't necessary. It was crazy scary to think about because if this was only for my engagement, how crazy stressful will my wedding preps be, right?! Well we tried to be as levelled headed as we could throughout the four months of preparations and also asked our married / engaged friends for advice - just to stay recent and relevant. 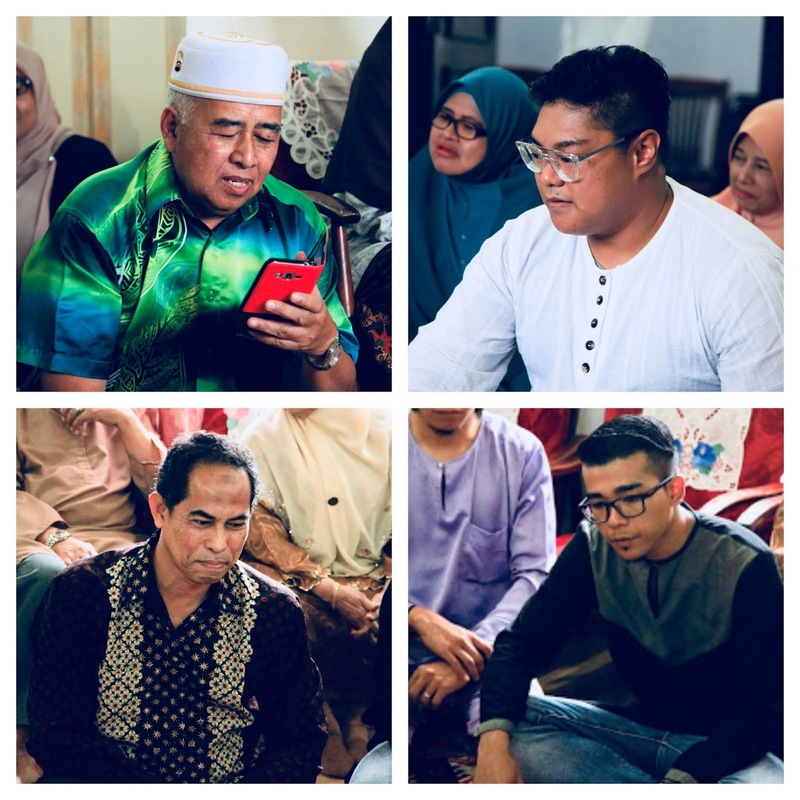 As much as Fazwan and I wanted to respect our elderly's wishes, some traditions just don't seem necessary to us and some didn't even made any sense altogether. We didn't want to include something just because "your cousin had this at their engagement" or "what would your uncle say if you did not include this". Furthermore, most of these things cost time and money. Our take was that if we did not see the significance of it, we are not going to include it. I'm not saying that you should defy the elderlies but be rational and reasonable. If things start to get out of control - I think you'll know for yourself when enough is enough. Thankfully for us, things remained under control. There were little arguments here and there but Fazwan was particularly strict about this to both our mothers - somehow my mother listens to him more than me. Hahahaha. Well it does not make me a marriage consultant just because I got engaged but these are true incidents that we experienced. There were inputs here and there from everyone, we cannot stop the suggestions and we choose to believe that our loved ones only have our best interest at heart. But in our case, we stood our point and made it clear to everyone that this was our special day and we wanted to do things our way. I guess being reasonable and talking things out rationally did help. I guess it also helped that Fazwan and I are both the garang ones in our family. Hehe. I wanted to DIY everything if I could because I didn't see the point of paying someone else to do something that I am fully capable of (that's my ego talking) but that's obviously irrational, what with the amount of time I had at hand and the number of leaves I would have to take just to prepare everything. So I had it split 50/50 - some things were DIY and some things were paid for. The tray tags I designed for my side of the gifts and Fazwan's side. The tags and bunga rampai tubes I did for Fazwan's gifts. The first place in Singapore that people will look for Malay wedding related goods? Geylang Serai or Joo Chiat Complex. However, this was not the top of our list because we always choose Malaysia as our first place to shop. It's a lot cheaper as compared to Singapore but then again, some may say that you have to spend more time and money on travelling. So.. it's up to you really. For us, we prefer shopping in Malaysia. A store at Kenanga City Mall (KL) that is solely dedicated to ready made decorations and props. These pictures are from Jalan Chow Kit (KL) as well as two shops in Angsana Plaza (Johor) - they have everything! However, it can get pretty overwhelming for most people (like Fazwan hahaha) because their stuff are all over the place so it might look really messy but I love it here. Thank you stickers from the shops at Angsana Plaza (JB) that only costs RM4 per pack. I actually bought a dress from Cosmo in KL (a pair, together with Fazwan's) but I just felt like it was more appropriate for Hari Raya than an engagement day without the bling, so I went on to grab this a day before our engagement - a peplum maxi dress with lace and a little bling that only costed fifty bucks. 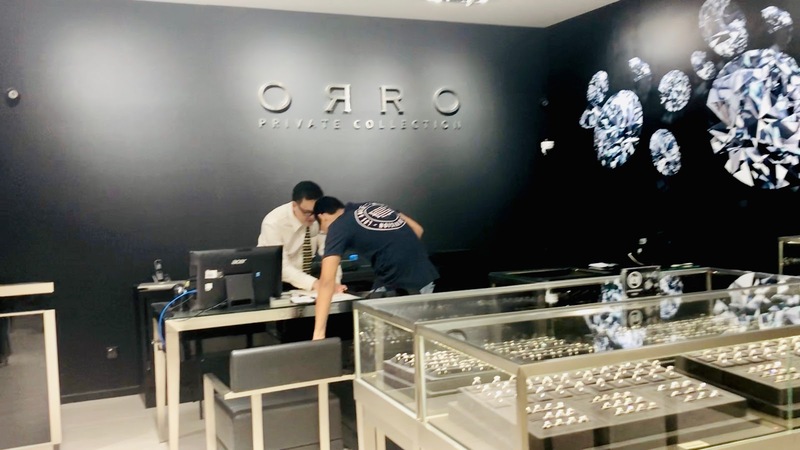 Shopping for Fazwan's ring at ORRO (Orchard Gateway). It's so hard to shop for guys! Omg. Personally, we like going to Malaysia so we didn't find the travelling to be a hassle + we had a short getaway planned for KL anyway, so it was more like we were killing two birds with one stone. Geylang Serai is still more convenient if you're looking to do last minute errands but if you have the time to spare, Malaysia's definitely much cheaper. Fazwan putting up my shimmery curtains and floral decorations + a progress picture of the photo frame I had to DIY - used for the money that acts as an indication of the dowry agreed upon by both sides of the family. The problem with DIY-ing everything is that it's extremely time consuming. From buying the logistics to actually sitting down and completing it. Now that the engagement is over, if you ask me if I would DIY everything again, I would say yes because it felt like a form of accomplishment to put your personal touch into your special day. But if you were to give me a choice of whether to DIY for the wedding or hire someone to do it for us, I would choose the latter because it just makes more sense.